A 17-year-old hacker, George Hotz, who managed to unlock the iPhone so that it could be used with cellular networks other than AT&T has traded his reworked gadget for a Nissan 350Z and three 8GB iPhones. Hotz made the barter deal with Terry Daidone, co-founder of CertiCell, who also hired Hotz as a paid consultant. Does the average person have any idea of the magnitude (of wealth) the world�s corporate goliaths possess? Here�s a mind-numbing figure to get your mind around: Citigroup, a banking giant, has a global real estate portfolio which totals 92-million square-feet! The Sisters of The Road, a non-profit organization, have expanded their homeless center in Portland. The organization runs a caf� and provides mail and other services for the poor and homeless who pay for the food and other products with cash, food stamps, or barter. More than $3.57 trillion in M&A deals this year will mean an all-time record, according to Bloomberg News. International buyers are spending more on takeovers in 2007 than ever before, and the pace of foreign purchases ultimately might match the volume of domestic deals. Bankers specializing in mergers and acquisitions will earn approximately $11 billion in fees. Cruise lines and their passengers spent $17.6 billion in the U.S. in 2006, with New York and Hawaii among the fastest-growing embarkation points for cruise travelers. Demand has slowed in the key Caribbean market, but the industry has seen potential for growth in Europe and Asia. While U.S. passengers play a dominant role in the industry�s travelers, only 17% of Americans have taken a cruise. In 1970, turbine-powered planes such as corporate jets numbered 1,833. By 2006, that number had jumped to 18,058. And the FAA predicts another 10,000 additional corporate jets will begin flying in the next ten years. On another note, commercial airlines ranked below the IRS in the University of Michigan�s most recent survey of American customer satisfaction. According to Larry Kudlow, host of CNBC�s (cable TV) �Kudlow & Company,� small business in America makes up 50% of our country�s GNP and is responsible for 99% of the jobs in the private sector. According to Smith Travel Research, the average room in Manhattan (NYC) has seen a big jump in prices�some 40% higher than just three years ago. The higher rates are a result of foreign visitors drawn to New York by the weak U.S. dollar. In addition, the supply of rooms has declined due to converting rooms to condominiums or other uses. The occupancy ran 80% for the first four months this year and the average room rate was $231, far out-distancing Miami at $192 and Honolulu at $166. Active International announced it has been selected as agency of record for Silverjet, Britain's first exclusively business-class airline. Internationally recognized as a new class of premium air travel at an incomparable value, Silverjet is focused on becoming the global market leader in the all-business-class category. �As we add destinations worldwide, we're looking for new ways to get the word out and put passengers in seats,� stated Silverjet�s CEO Lawrence Hunt. �This means changing the way we reach our target audience. For more information on Active International go to �Site Sponsors� at top of page for click through. Did you know there are now over 510 articles posted on our blog? International Monetary Systems reported it has purchased the client base of Barter Partners, a trade exchange serving members in St. Joseph and Benton Harbor (MI) as well as South Bend (IN), capably run by Jim Cassidy. IMS management believes that its new Barter Partners clients from the Michigan market will derive much benefit from, and will relate well to, the company�s largest client base in Chicago. 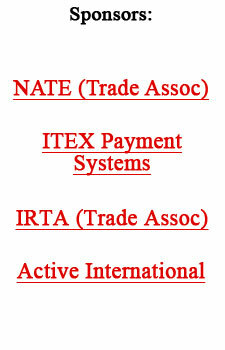 These new IMS members will now have thousands of trading partners that they have not had before. Acquisition of the assets and client base of Kansas Trade Exchange, located in Wichita (KS), will become effective on September 30, 2007. KTE has been serving clients in south-central Kansas for more than twelve years with a solid reputation for quality service to its members...providing them with a wide variety of desirable products and services. Don Mardak, CEO of International Monetary Systems, commented, �Hayes and Brenda Crenshaw have created one of America's top-quality trade exchanges with a loyal base of clients. We believe that this acquisition will strengthen our product offerings and be accretive to our revenue and profitability." International Monetary Systems revealed that two private investors who were holding $300,000 in convertible notes have completed the conversion of their positions to equity. This brings the total of such notes converted since March of 2007 to $1 million. Appealing to both beginning wine drinkers and connoisseurs alike, LocalWino.com provides a well-organized online platform for local wine lovers of all levels to discuss, research and discover the world of wine in the non-threatening free sharing environment of a community forum. The distinguishing feature of the site as opposed to other online wine forums is the local organization of the forum by cities within specified states. This allows users to share, find, and discuss details about wine within their own community. In addition to the discussion forum, the site serves as a wine information portal for various links and resources to the overall wine industry. Founder and owner, James Matuszewski, explained, �After being a part of various online wine forums, I saw a great need for a more organized format for the type of discussions that were going on.� He feels as though his site is catching the trend of online local community building. In addition to being set up by state and city, the discussion forums are very smartly organized by subject as well. Self-proclaimed �winos� can discuss general information about wine, wine shops & resources, restaurant wine lists, wine clubs, wine travel or more wine & food specific tasting subjects. There is even a social aspect of the forum where singles or couples can find each other to get together for glass or two at the local wine hot spot. The site and the forum are completely free of charge to its visitors or members. As users log-in or register, they choose their region (state) and then are given a prompt to choose their individual locale. Members can also easily view or post to any of the forums designated by city and find information about other locations as well. LocalWino does not currently sell wine directly on its site, but is affiliated with various wines sales and other commerce sites. The site plans to introduce wine commerce later in 2007. For more information visit www.localwino.com.